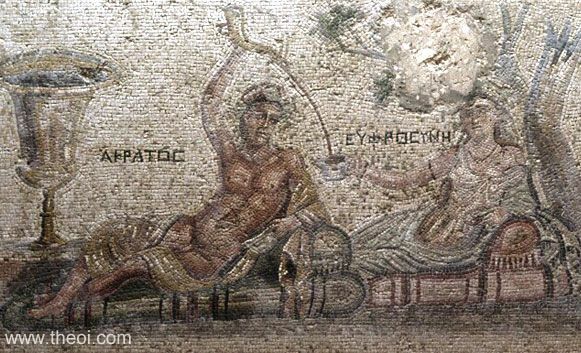 Euphrosyne (Good Cheer), one of the three Graces, reclines on a couch beside the daemon Acratus (Ease). He fills her cup with wine poured from a drinking-horn (rhyton). The two figures are labelled on the mosaic.